The Reserve Club ‑ the Coachella Valley’s premier private golf and luxury lifestyle club ‑ has unveiled its stunning clubhouse renovation. 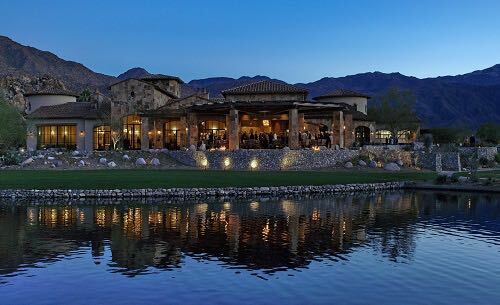 After more than a year of design and construction, at a cost of $10 million, the total renewal of the 30,000-square-foot, Tuscan-style clubhouse far exceeds the goals of honoring the club’s high standards and unique feeling of community, fellowship, and intimacy while positioning it for decades to come. The new dining and social spaces highlight the club’s magnificent views of the Coachella Valley, surrounding mountain ranges, and award-winning Tom Weiskopf/Jay Morrish-designed golf course. Larger, more contemporary windows and doors connect the outdoors with in, while opening onto newly expanded patios. Developers Robert J. Lowe and Ted R. Lennon of Lowe Enterprises began visualizing a special place in the Valley close to both the Santa Rosa Mountains and Palm Desert activities back in the 1980s. From the beginning, Lowe and Lennon were committed to protecting and enhancing the sensitive desert ecosystem, and it took 10 years of planning, permitting, and careful construction to open the club in November 1998. Now in its 20th year, the club’s transformation has brought a new vibrancy to the lifestyle. The center of club life then and now is The Reserve Club Village, anchored by the Clubhouse with its dining venues and lounges, terraces, wine cellar, bar, library, and men’s and women’s locker rooms. The Club Village also comprises a Fitness Center, Golf Shop, and the Lakehouse for casual dining.